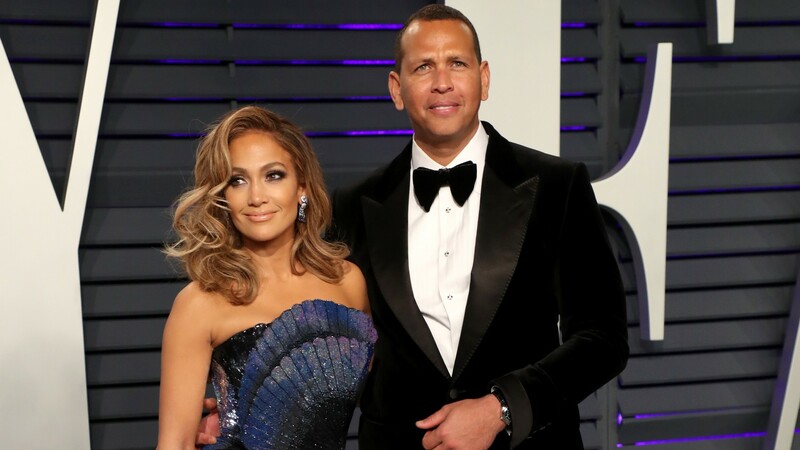 It looks like J.Lo and A-Rod have already received the best present they’re ever going to get as a couple — and they’re not even married yet. On Thursday, Alex Rodriguez shared a note from Barack Obama to his Instagram that congratulates Rodriguez and his fiancée, Jennifer Lopez, on their recent engagement. This is one of the most recent peeks into Lopez and Rodriguez’s first weeks as an engaged couple and we’re now convinced that if the Obamas have given their congrats, then this A-list couple’s union is undoubtedly blessed. Rodriguez captioned the photo, “This means the world to us,” and we believe him, too. This note from the Obamas is a good omen for Lopez and Rodriguez’s marriage if ever we saw one. Could this also mean the couple will attend the sure-to-be star-studded wedding? This is not the first time that the Obamas have been connected to either Lopez or Rodriguez. Most recently, in fact, Lopez was seen onstage at the 2019 Grammys alongside Michelle as well as Lady Gaga and Jada Pinkett Smith. Michelle’s appearance at the Grammys was a surprise, as she went on to share memories of the impact music played in her life before handing off the microphone to Lopez so Lopez could do the same. If you needed any proof that the Obamas are dear friends to Lopez and Rodriguez, then surely that appearance, along with this note, is good enough. It’s been a little over a week since Rodriguez got down on one knee over the weekend of March 8 and presented Lopez with a hell of an engagement ring while they were vacationing in the Bahamas. The couple has been together for over two years, rapidly hitting major milestones in that time frame, like moving in together and blending their families, taking turns dropping the kids at school and going on vacations together. Lopez and Rodriguez have remained pretty low-key in the week since their engagement, not really speaking about it but rather posting adorable new photos from when Rodriguez popped the question and sharing poems on Instagram to express their joy. This is, most assuredly, a happy time for the couple and they’re making the most of it.